Visit the Montreal Holocaust Museum with our app for electronic devices or smartphones (Apple or Android)! Three new guided tours will help you discover remarkable objects and historical documents through audio commentaries, texts and high resolution images. You will learn history through the stories of survivors who made Montreal their home. 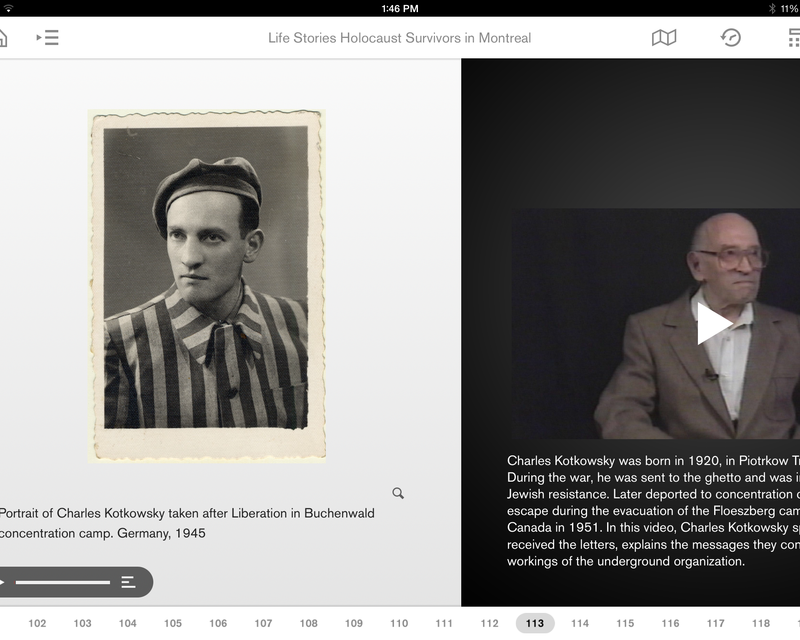 1st tour: Life Stories - Holocaust Survivors in Montreal from the Montreal Holocaust Museum's app. 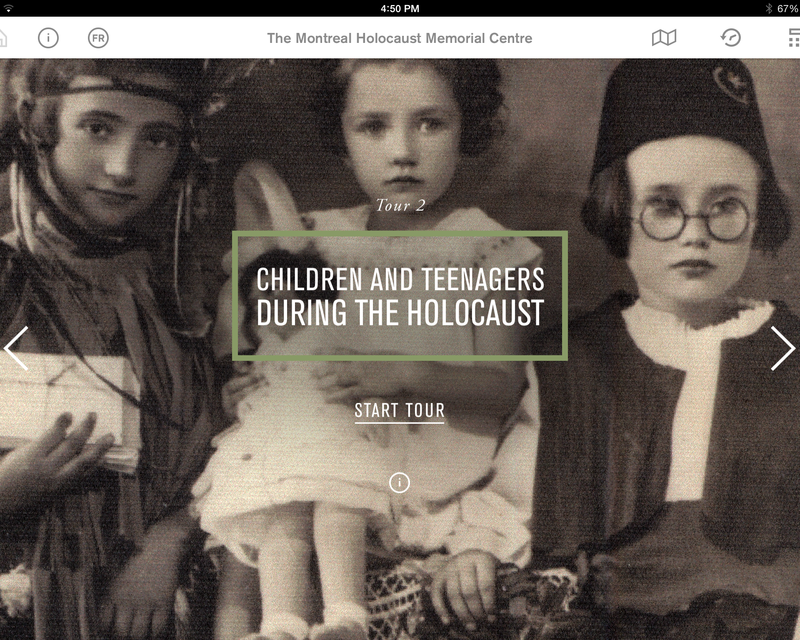 2nd tour: Children and Teenagers During the Holocaust from the Montreal Holocaust Museum's app. 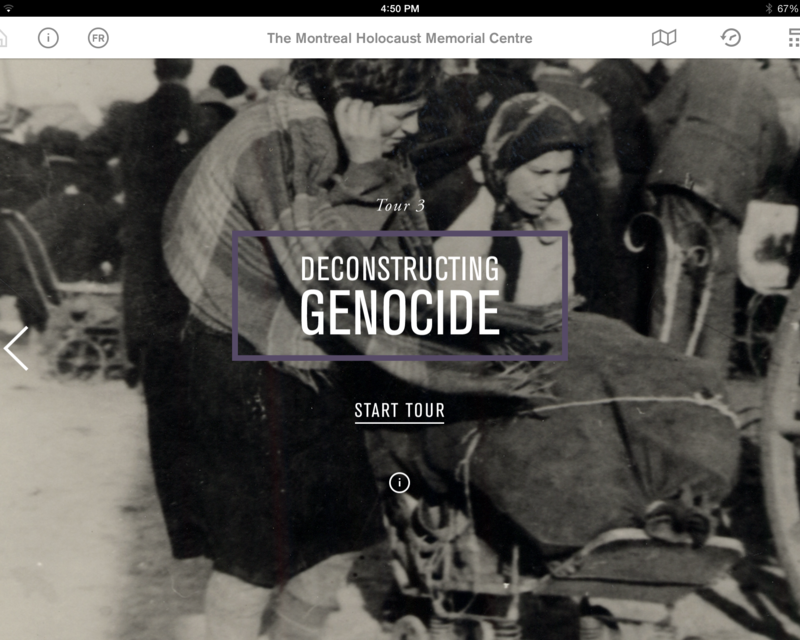 3rd tour: Deconstructing Genocide from the Montreal Holocaust Museum's app. 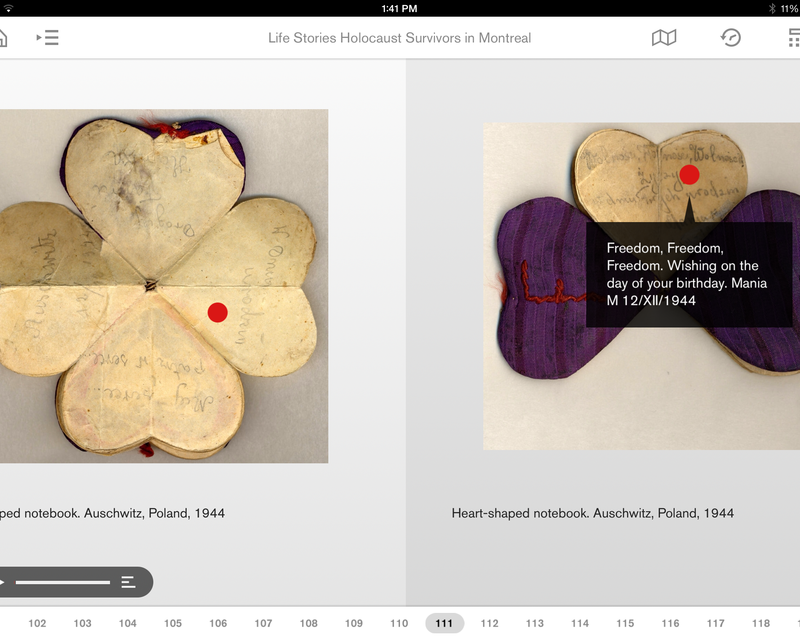 Discover more about artefacts with the Montreal Holocaust Museum's app. Find more survivors' testimonies in the Montreal Holocaust Museum's app. This tour is a great introduction to our Museum, and to the history of the Holocaust. It features some of the most significant objects in our collection. Nineteen stops throughout the Museum highlight the life stories of Holocaust survivors who rebuilt their lives in Montreal. Personal items, as well as video testimonies of Holocaust survivors from our collection are showcased on this tour. This thematic tour addresses the experiences of children and adolescents during the Nazi regime. It focuses on objects linked to events and issues affecting children. In addition to objects displayed in the Museum, the tour’s 11 stops give visitors access to testimonies of child survivors now living in Montreal. This thematic tour explores the different stages of genocide by looking at the historical events of the Holocaust. In 11 stops, featured objects and video testimonies link Holocaust history to concepts of human rights and genocide studies. Simply download the free app on your iPad, Android device or iPhone. The Museum also loans iPads to the public free of charge (limited number available). 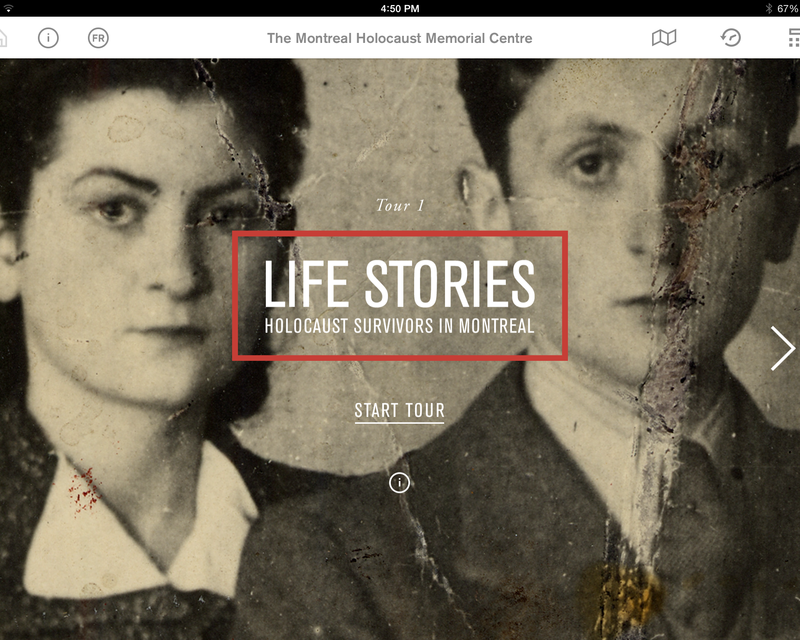 This mobile app was created by the Montreal Holocaust Museum, and designed by Tristan Interactive. This project received a grant from the Quebec Minister of Culture and Communications.